This Handbook Is a Complete desktop reference for students and engineers. It has everything from high school math to math for advanced undergraduates in engineering, economics , physical sciences, and mathematics . 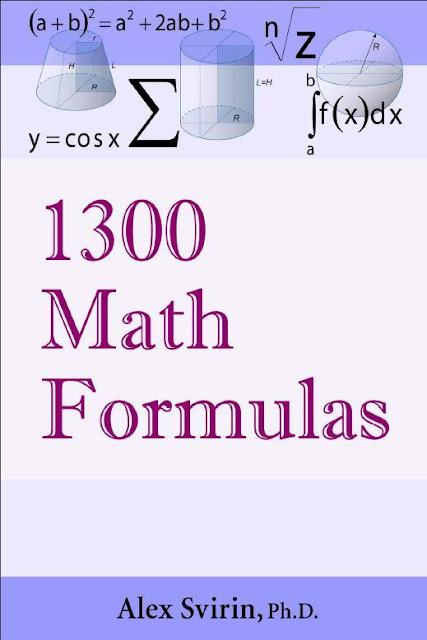 the ebook contains hundreds of formula's, tables, and figures from number sets, Algebra, Geometry, Trigonometry, Matrices and Determinants, Vectors, Analytic Geometry, Calculus, Differential Equations, series, and Probability Theory. The structure table of contents, links, and layout make Finding the relevant information Quick and painless, so it can be used as an everyday online reference Guide.